This is our coverage of Kirklees, historically part of the West Riding of Yorkshire. The Metropolitan Borough of Kirklees was formed in 1974 with the amalgamation of the County Borough of Dewsbury, County Borough of Huddersfield, Batley Borough, Spenborough Borough, Colne Valley Urban District, Denby Dale Urban District, Heckmondwike Urban District, Holmfirth Urban District, Kirkburton Urban District, Meltham Urban District, and Mirfield Urban District. At the same time it became part of the new West Yorkshire Metropolitan County. Since 1986 it has been a unitary authority. 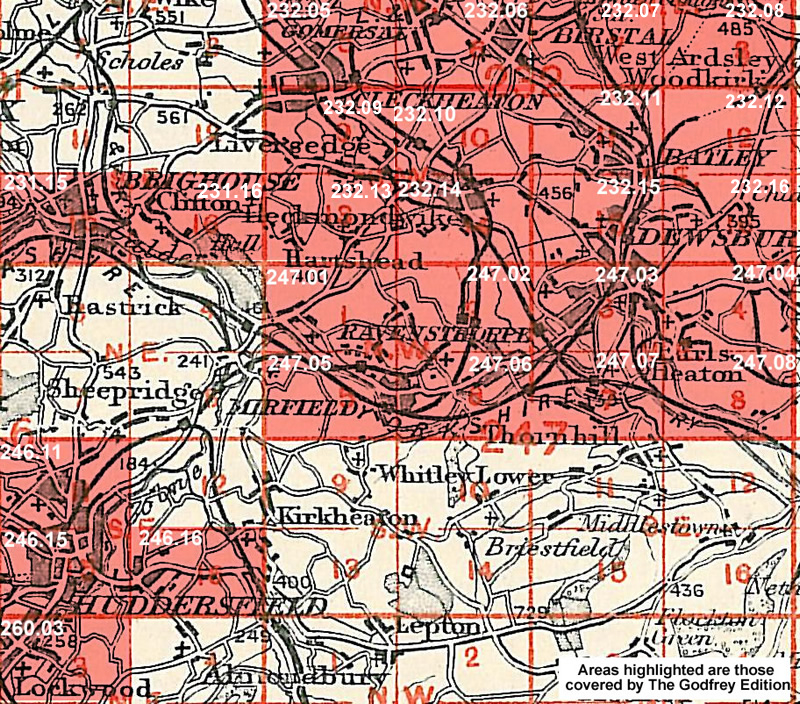 All maps are available from our On-line Mapshop. The following titles are taken from the OS 25" maps and reduced to a scale of approximately 14 inches to the mile. Each covers an area of a mile and a half by one mile, and includes an introduction. 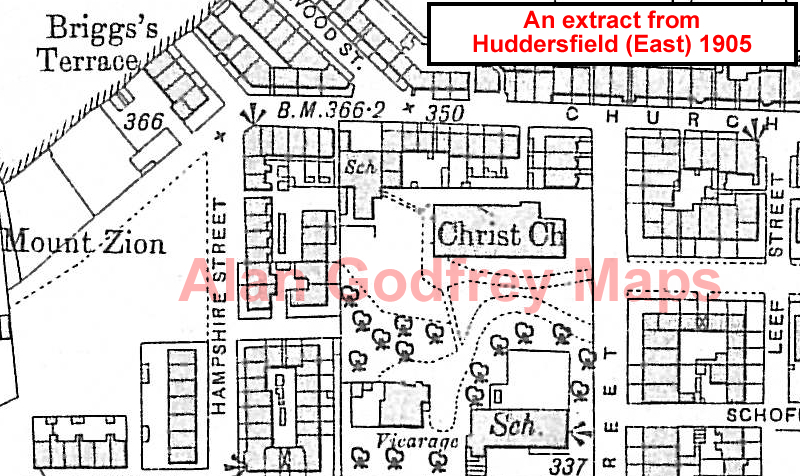 246.15a Central Huddersfield 1889 - published 2011; intro by Alan Godfrey. 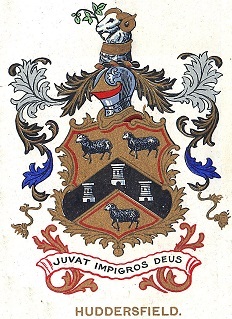 247.03a Dewsbury 1889 - published 2011; intro by Alan Godfrey. You might find this Index Map useful for the Huddersfield area. For further details of our One Inch Maps, visit the One Inch page.